Deconstructing Moya on your Kindle-ready devices! Always wanted to read the episode recaps on the go? 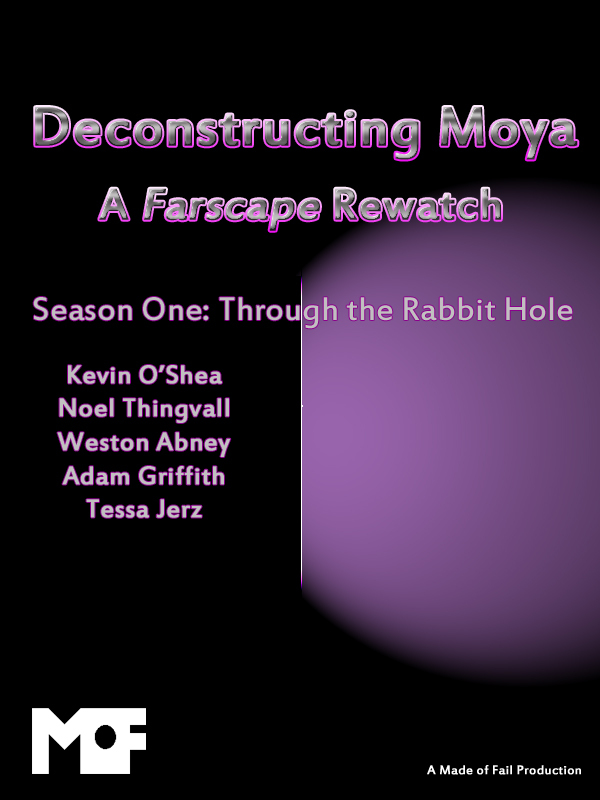 Now you can, with the Deconstructing Moya eBooks! Each season available for only $1.99. Episode screencaptures – No copyrighted images are included in this eBook, but they’d come out horribly on a Kindle anyway. Audio discussions for the season endings – But they are fully transcribed in text for the appropriate seasons, so you do get them anyway! You just have to read them now. Comments – But they are still here on the website! Why would I pay money if I could read this for free online? A fair point. Especially because the website has images, links, comments on individual episode recaps… The big thing here is portability. Not all of us have laptops to read the recaps in front of the TV, or on a long trip or vacation. Being able to read these recaps on-the-go is a huge draw; I know I’d take advantage of it. There’s also the matter of additional content. The first book has a full foreward, written by myself, and the other books will have similar ones by the other authors. There will also be extra thoughts and comments, the transcribed audio of the season wrap-up discussion podcast, and maybe even a bonus chapter here or there. It’s also only two dollars each. That’ll be eight dollars total, for 88 Episode Recaps plus maybe six hours of audio, and whatever we end up doing for the Peacekeeper Wars miniseries. A bargain, especially considering that each sale will go towards keeping Made of Fail Productions alive and free, as well as bringing you additional free content in its other projects. It’s a low-risk investment, with an enormous gain for you. All 22 Episode Recaps for the First Season of Farscape, including the Season Wrap-up Post at the end. Hello there, You have done an incredible job. I’ll certainly digg it and personally suggest to my friends. I am sure they’ll be benefited from this site. Aw, this was a really nice post. In idea I wish to put in writing like this additionally – taking time and precise effort to make a very good article… however what can I say… I procrastinate alot and by no means seem to get something done. I bought the first one, how do i buy the rest?